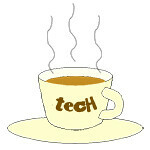 Internet of Things « Tech bytes for tea? Asia Pacific system developers can now experience the qualified and integrated platform to accelerate embedded development of innovative applications. Renesas Synergy Platform is now available in South East Asia, Australia, New Zealand and India. Renesas Electronics Singapore, a wholly-owned subsidiary of Renesas Electronics Corporation, has announced that the Renesas Synergy™ Platform is now available in Asia Pacific markets. Renesas Synergy is a complete and qualified platform with fully integrated software, a scalable family of microcontrollers (MCUs), and unified development tools to speed embedded system developers’ time to market as they innovate new products for IoT device applications. “In the rapidly evolving IoT industry, those who cannot get to market first with products that have differentiated value are at an immediate disadvantage. By enabling developers to start at the software API level and enjoy a connected real-time system without the need to build and maintain baseline functionality, the Synergy Platform empowers our customers to drive innovation and differentiation in their own end-products to succeed in a very competitive Market,” said Ronnie Ho, Director of General Purpose Marketing, Renesas Electronics Singapore. At the heart of the Synergy Platform is the Synergy Software Package (SSP), which is qualified, supported, warranted, and maintained by Renesas. The SSP consists of a real-time operating system (RTOS), extensive middleware, communications stacks, and more – all accessible through a robust Application Programming Interface (API) to free customers from struggling with lower-level details. Developers can start MCU software development immediately at the API level so that they can focus on differentiating their own product instead of doing repetitive non-differentiating work. Additionally, system developers can lower their total cost of ownership, and remove many obstacles that prevent them from starting new designs. System developers in South East Asia, Australia, New Zealand and India can now access the full service of the Synergy Platform, using the Synergy Gallery website where simple click-through licensing is all that is needed for immediate download of professional software and development tools with no fees or royalties. Intel and Mitsubishi Electric has announced a new collaboration to develop next-generation factory automation (FA) systems with Internet of Things (IoT) technologies and a pilot program at Intel’s backend manufacturing facility in Malaysia. “The collaboration between Mitsubishi Electric and Intel on this IoT project has enabled field data from semiconductor manufacturing lines to be collected and analyzed to improve operational performance, yet also contribute energy savings for a more sustainable society,” said Masayuki Yamamoto, group senior vice president, Factory Automation Systems, Mitsubishi Electric Corporation. The pilot demonstrates the benefits of IoT in a factory setting with a focus on delivering productivity enhancement through innovative functions, such as predictive failure, by combining Intel’s expertise in developing solutions for IoT and Mitsubishi Electric’s “e-F@ctory” automation capabilities. Intel realized a savings of US$9 million over the course of the pilot. “We believe that other manufacturers can benefit from this joint Intel-Mitsubishi Electric solution, which combines big data analysis, optimized data capture and processing to deliver improved performance and optimized maintenance,” said Yamamoto.